Gore Range fly fishing, photo by Tom Boyd. Flat Earth Media is a sole proprietorship communications company located in Denver, Colorado. I founded it in 2010 to handle one client, Nokero International, and in 2012 I began building Flat Earth as a media firm with a focus on providing non-profits and social enterprises with communications, web design, SEO and social media support. As a journalist, I’ve come to understand that any campaign in the new media landscape benefits from an understanding of the current state of affairs in the news industry. Throughout all the upheaval in the media world, one thing remains the same: a good story is still a good story. My work at Flat Earth media, therefore, focuses on discovering and telling stories of the great work being undertaken by non-profits and social enterprises, both domestically and abroad. Storytelling hasn’t changed much, but the way we share these stories has changed a great deal. Technology is at the heart of this seminal shift in how individuals and organizations communicate with the world and each other. At Flat Earth, we understand this process from the ground up. We build new media websites, develop custom plug-ins, run social media accounts, and do the work of telling stories in words, images, video and graphic art. We understand the cloud, hosting platforms and internal communications technology, and we know how to streamline efficiency in organizations where every dollar saved in expenses allows for another dollar spent toward making the world a better place. We also work with new and old friends in the media to identify the critical stories of the day, and create a means by which those stories can be directly placed into various outlets, or picked up on by other journalists, and then disseminated to the target audience. In areas where it is still ethically responsible, I also continue to actively participate, as a writer, in the craft of journalism and the pursuit of good storytelling. Learn more about the professionals who contribute to Flat Earth’s work on our team page. Keep up with what’s happening at Flat Earth on our News page. 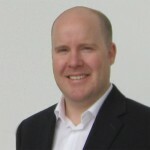 Learn more about my professional background at www.linkedin.com/in/tomboyd88.